Graduating from the Aveda Institute in Minneapolis, MN in 2006, followed by a move to Chicago. Spent most of her 20’s at Salon Blue, which helped hone her eye for the craft and excelled her knowledge through continuing education and a growing clientele. Barber School license obtained 2014, after 1000 hours! Her passion for beauty and community is the underlying reason for YO:U. La Jefa LLC was inspired by Yolanda’s Mexican heritage in her father’s side mixed with her female boss upbringing, largely due to her stronger mother and sisters! Her accomplishments included New York Fashion Week with Bumble and Bumble, many photoshoots with local photographers and models, work with Ford Model Agency, the cover of Off-Kilter magazine, and press in People, Voyager Chicago, and Tres Awesome. From cuts to colors, man, woman or kid; the service will be customized for each individual — along with the daily playlist. YO:U is Yolanda’s second home, and she welcomes you to come take a seat and enjoy! Her most treasured accomplishment — her clients, which are the U to YO:U! Michelle is a hair stylist and makeup artist. With over 10 years experience, Michelle has the knowledge and skills to suit every clients needs. After her training at a top chicago hair salon, and working many years on the floor, she switched gears and became a Mac cosmetics pro artist. While working for Mac, Michelle worked with everything from bridal to the runway, working at both NYFW and PFW. Michelle is committed to artistry and education. Being in such a competitive industry, the relationships she has built with her clients and trust are what has made her successful. Michelle continues to use her experience and artistry with every service, insuring you’ll walk away feeling nothing short of fantastic! Alexia Ortega is a hairstylist and is currently an apprentice at YO:U. Having been drawn to the beauty industry from a very young age, it has always been her passion to meld beauty and wellness for a holistic approach to self care. 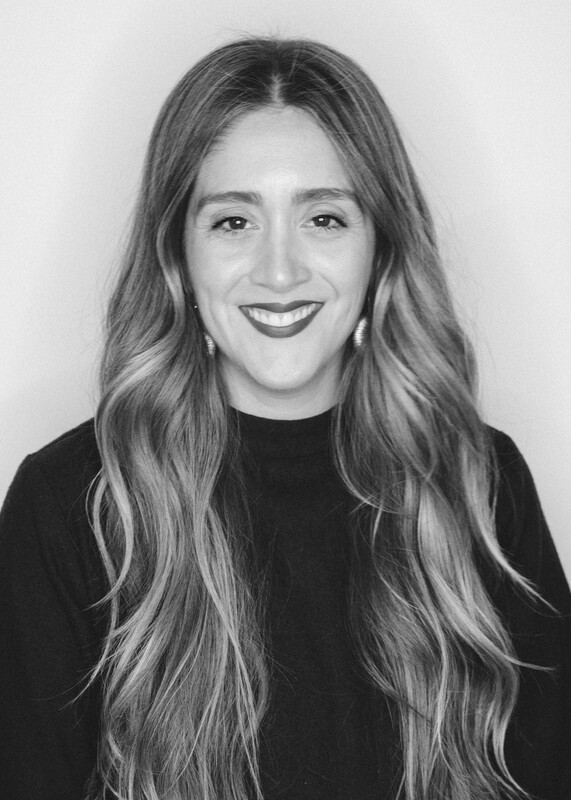 Alexia has gained a worldly and broad eye for arts and culture through her experience of growing up between Chicago and Oaxaca mixed with her 6 years in Scotland where she studied and started her career in hair. Her goal is to create a comfortable, customized, and inspiring experience to help her clients realize their hair dreams. Alexias apprenticeship at YO:U started in October 2018, where she is honing her skills set while growing her clientele. She is currently available to book for wash & blow-drys and men’s haircut appointments. Starting as a client, Chelsea immediately fell in love with the atmosphere of YO:U. With a background in fitness, she was on a search for an establishment where she could explore her innate love for beauty and fashion. After a coincidental conversation with Yolanda during a hair appointment, Chelsea began working at yo:u as a front desk receptionist then quickly transitioned into the manager position all while carrying her second child. While she’s not busy handling all things yo:u, you can probably catch her continuing her career in health and wellness and raising her two daughters, Maxine and Enix.